Come celebrate with like minded Vermonters on April 24th at the Orchid in South Burlington at the Vermont Libertarian Party state convention. Where: Orchid Restaurant, located at: 5 Market Street, South Burlington, VT 05403, Tel: (802) 658-3626. Cost: $10.00 per person, paid in advance of the convention to the VTLP (includes meal and hot tea, other drinks are extra. He who passively accepts evil is as much involved in it as he who helps to perpetuate it. – Martin Luther King, Jr. There comes a time when a moral man can’t obey a law which his conscience tells him is unjust. – Martin Luther King, Jr.
Never forget that everything Hitler did in Germany was legal. 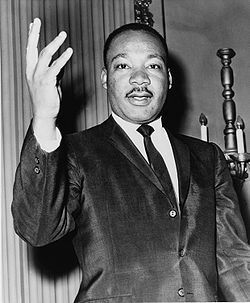 – Martin Luther King Jr.
An individual who breaks a law that conscience tells him is unjust, and who willingly accepts the penalty of imprisonment in order to arouse the conscience of the community over its injustice, is in reality expressing the highest respect for the law. – Martin Luther King Jr. 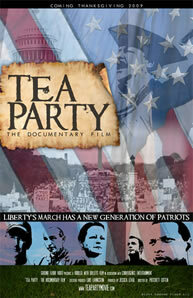 This Thanksgiving a new movie/ documentary about the Tea Parties of 2009 is going to be released, called TEA PARTY: The Documentary Film. It releases direct to DVD and via download from the Apple Appstore this Thanksgiving Day at www.TeaPartyMovie.com. The film follows the struggles of five grassroots individuals and their transformation from home town rally goers and rally organizers to national activists taking part in the 912 Taxpayer March on Washington. In the process, they reveal what is at the heart of this nationwide surge of civic engagement – a call for a return to constitutionally limited government, personal responsibility, and fiscal restraint at the Federal level. PRINCIPLE #1: Free people are not equal, and equal people are not free. PRINCIPLE #2: What belongs to you, you tend to take care of; what belongs to no one or everyone tends to fall into disrepair. PRINCIPLE #3: Sound policy requires that we consider long-run effects and all people, not simply short-run effects and a few people. PRINCIPLE #4: If you encourage something, you get more of it; if you discourage something, you get less of it. PRINCIPLE #5: Nobody spends somebody else’s money as carefully as he spends his own. PRINCIPLE #6: Government has nothing to give anybody except what it first takes from somebody, and a government that’s big enough to give you everything you want is big enough to take away everything you’ve got. PRINCIPLE #7: Liberty makes all the difference in the world. Yesterday, EWeek published an article about a Presidential Internet Kill Switch, that would provide the power to the President of the United States to shut down the Internet whenever the President felt there is threat to strategic national interests. This provision was included in the original Cybersecurity Act of 2009 (S. 773) and was introduced by Sens. Jay Rockefeller, D-W.Va., and Olympia Snowe, R-Maine. They drafted this legislation in response to post-9/11 complaints that the neither the private sector nor government was doing enough to protect the nation’s critical cyber-infrastructure. This seems like a lot of power for any one entity to have. The ability to shut down the whole Internet in one place. This is the first I’ve heard of it and it should be a bit unsettling to people that it can be done. The article doesn’t explain how it would be done, but I imagine it may have something to do with ICANN since they have control over how website domains are operated. If they were to shut down their database, I suppose then no web sites would operate or if all major ISPs were to shut down their internet access with a call from the President that would work for here in the states at least. It would be interesting to know exactly how they would do it. However, it would seem that during the time of a national emergency, this would be the time that you want the Internet running at full capability so that the citizens can communicate effectively and determine what steps they should take in response to the national emergency. Of course a major benefit of having this power as President is that you would be able to hide and/or prevent information from getting public too fast. Of course this ability would make an excellent target for a terrorist to be able to hijack and activate. I think this kind of power available all in one place could be quite dangerous for these reasons. It seems that from the comments on this article most internet professionals do feel quite uneasy about this as well. Forcing people to have an insurance policy even though they may be able to self-insure – or pay a 2.5% tax/penalty. Forcing companies into having health insurance plans – or pay a 8% payroll tax/penalty. Loss of freedom to choose what is in your plan or potentially your doctor. Loss of ability to get discounts for a healthy lifestyle. I don’t believe this plan will do a whole lot to fix the root problem, which is the costs of healthcare. The high costs of health insurance are a symptom of the root problem, not the actual problem. Reduce rules on the healthcare and insurance industry. The federal and state governments could relax their policies regarding the medical industry. Open up markets for all insurance companies to actively compete (this is a big issue here in Vermont, where we have very few health insurance providers, 2 that I can think of). Make it easier for people to practice medicine and for people to seek care from who they want. Make the heavy licensing of medical practioners and hospitals optional in order to operate. Make the FDA approval process optional. Here in the US, we get access to new drugs or medical devices many years after others in the rest of world due to the lengthy bureaucratic process of FDA approval, which can take 10 years to get. Also, the process is so expensive that only the largest companies can afford to participate and only ideas that are very complicated or are expected to have a high retail cost are submitted for approval. Why couldn’t the government make the FDA approval optional and allow other firms to offer their own approval or seal and compete with the FDA. This would allow much cheaper forms of healthcare to be available. Fixed 18 teeth and began brushing up to 3 times a day and flossing everyday. Modified diet dramatically, currently making the main focus on vegetables, fruits, almonds and whole wheat grains. Exercise at least 30 minutes a day (on average). Reduced risky behaviors – such as less risky bike riding and wearing seat belts more regularly. In doing so, I believe I have improved my health dramatically by making these changes which I probably wouldn’t have done if not for the loss of my cheap health insurance. Perhaps that’s part of the problem… if so many people are getting cheap or free health insurance from the government or their employers, what incentive is there to be concerned about your health if you know everything can be fixed for a low cost or nothing in some cases? Wouldn’t it make sense to at least allow discounts for good healthy habits or for scoring well on health tests? Or perhaps allowing them to charge extra for risky behaviors/jobs, such as downhill skiing or logging? I realize this can be a very emotional and scary issue for most people. Everyone wants good quality care for as little as impossible. No one like to pay for insurance if they are not sure they will need it. At this time, I am currently trying to get on a health insurance plan that is affordable to my wife and I, which can be quite difficult here in Vermont where the choices are so very limited. The idea or mystic of a very comprehensive healthcare/health insurance program that covers everyone for little cost sounds very attractive, but the reality is that the government running such a program will be very risky and I believe would end up being at least as expensive as our current system and will be far more intrusive. If the government is running the program, what would stop them from placing far more limits on our activities to keep costs down… they probably won’t do that right away, but think 10 or 20 years down the road, when they’ve reached their taxation or premium limitations. Look at anything else the government runs, it’s only a matter of time before the programs go under-funded and need to increase rates or tax rates just to keep up with payments. At this point, the government will be forced to put limits on our behavior, which is already beginning with smoking and trans fat bans. Why wouldn’t this increase with the government taking over healthcare/health insurance? My wife and I are now living a much better lifestyle where we don’t eat much unhealthy food or engage in drinking or smoking or other behaviors considered unhealthy, but that doesn’t mean it’s right for the government to force our lifestyle on others and I certainly would like to be able to get the occasional fatty burger and fries from when I want to. So, I firmly believe that a government takeover of the healthcare industry will not signifantly reduce the costs in the long run, if at all, will limit our choices and most likely result a huge loss of personal freedoms. WHAT IS HAPPENING TO AMERICA NOW? – The fate of our Nation now rests with You… The People! In the Spirit of our Founding Fathers and the Continental Congress of 1774, this national assembly will bring delegates from each state representing The People to discuss the future of our Nation and how we can restore Constitutional Obedience in America, before it is too late. Below is an interview with Rob Roper, the Chairman of the Vermont Republican Party, on American Socialism for the Rich. In the interview, the following issues are discussed: The Vermont GOP and how it functions in Vermont, the economy (Federal and Vermont), bailouts, stimulus package and our Vermont will use it’s share, inflation, Instant Runoff voting in Vermont and Gay Marriage in Vermont. In the interview Rob makes some good points on a variety of issues. One in particular that I see is how the state is getting very difficult for those that are in the middle. Individuals that either qualify for many of Vermont’s social programs or are very wealthy are fine, but if you are middle class, you will find getting by quite difficult. It seems that the taxation and regulation has made so many products and services so expensive in Vermont compared to other states. The government has taken care of the problem for people making under $10,000 with it’s lavish social programs and the costs don’t seem bother many of the wealthy, but what about the people making between $15,000 and $25,000. I think a lot of people in Vermont are in this range but continue to vote for the same people over and over again. I imagine they must feel the pain, but why do they think things will get better by voting for the same people? I know many people don’t vote… one could imagine how things could really change if more did vote or take the time understand what the people they voted for are doing. My guess is that most don’t have time… probably too busy working.